Expert Driving Tuition in Slough / Langley / Uxbridge. 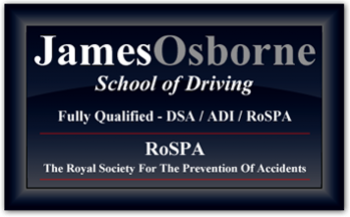 We are proud to say that at James Osborne School of Motoring, we offer all those things and more (plus the opportunity to nip around in our fab all new Ford Fiesta ( manual ) 1.5 TDCi with air conditioning)! We are a proficient and highly experienced driving school home to the Bucks and Middlesex area's such as Slough - Langley - Uxbridge test routes and all surrounding area's that cover these test centres. We provide expert tuition to pupils of all ages and experience levels, and have an excellent pass rate. Not only do we collect you from your door, but also provide flexibility to pick-up and drop-off points at your convenience. Your instructor, James Osborne is a very friendly and patient tutor who maintains professionalism and a courteous manner with all his pupils. He is a fully qualified D.S.A, ADI, RoSPA and PASS PLUS Registered Instructor, so you can rest assured that we’re a highly competent driving school. We offer a range of driving related services to the general public. However in particular if you are new to driving, we will make you feel completely at ease as a beginner to the roads by working to your pace and gradually building your confidence over time. Driving can be a daunting experience for any beginner and we guarantee that we will take good care of you and make driving a positive experience. We will also ensure you learn and maintain safety and full awareness of the Highway Code whilst on the road. One of our greatest perks is the fact that we offer FREE Hazard and Theory advice. Now that’s something you cannot resist as a beginner. If you have some driving experience already and wish to pick up from where you left off, we provide fast and effective Refresher courses that will have you ready for your test in no time. We’re flexible and build on your own experience to ensure your lessons are value for money. We are able to offer hourly tuition on a weekly basis or intensive courses in driving and theory training to ensure that you pass your test quickly. 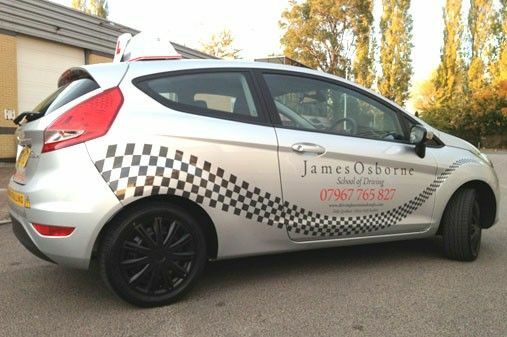 At James Osborne Driving School we guarantee such a top notch service that you will no doubt recommend us to your friends and family. Whatever your experience and needs, we endeavour to offer you a personal, tailored service, working at your learning rates. With us in the equation, you’ll be driving around like an expert in no time! For more details on prices, bookings or to discuss your individual requirements, please call us today. Alternatively, you may use the click to call button or drop us an email using the form on our Contact Us page and we’d be happy to help.